Smiley Dental Group works with patients of all ages to create straighter teeth and more confident smiles. For our patients who would like to straighten their teeth without the braces, we offer Invisalign®. Invisalign® is a clear, plastic alternative to the wires and brackets that are characteristic of traditional orthodontic work. These smooth, custom-made appliances are designed to gently shift your teeth to the desired position without any intense tightening. As a first step to Invisalign® treatment, Drs. Smiley and Holowicki will request a consultation with you to determine if you are a candidate for Invisalign®. Then, we will design an individualized treatment plan that will be developed through x-rays, images and impressions. Full length of treatment varies, with one year being the average for adults to expect optimum results. As part of our Invisalign® treatment protocol, patients should wear aligners throughout the day, only removing them for eating and brushing/flossing. Checkups with Dr. Holowicki are normally recommended every six weeks. Upon completion of Invisalign® treatment, Vivera® retainers are usually suggested in order to maintain long-term results. 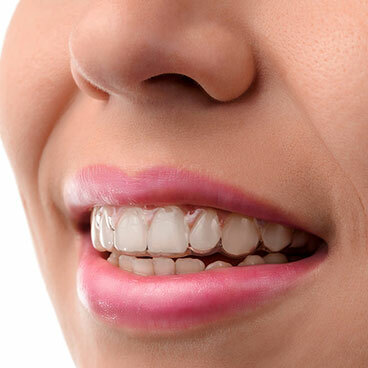 To discuss the physical and financial aspects of Invisalign®, contact Smiley Dental Group. It just may be the key to a straight, confident smile.